During the “Passion of the Lord” service in St. Peter’s Basilica, songs in Latin recounted the last hours in Jesus’ life, from his arrest to his burial. The service is one of the few during the year where the pope does not give a sermon, leaving it to Father Raniero Cantalamessa, whose title is preacher of the papal household. Francis listened as Cantalamessa described Jesus as “the prototype and representative of all the rejected, the disinherited, and the discarded of the earth, those from whom we turn aside our faces so as not to see them”. He said all religions had a duty to stand with the poor. 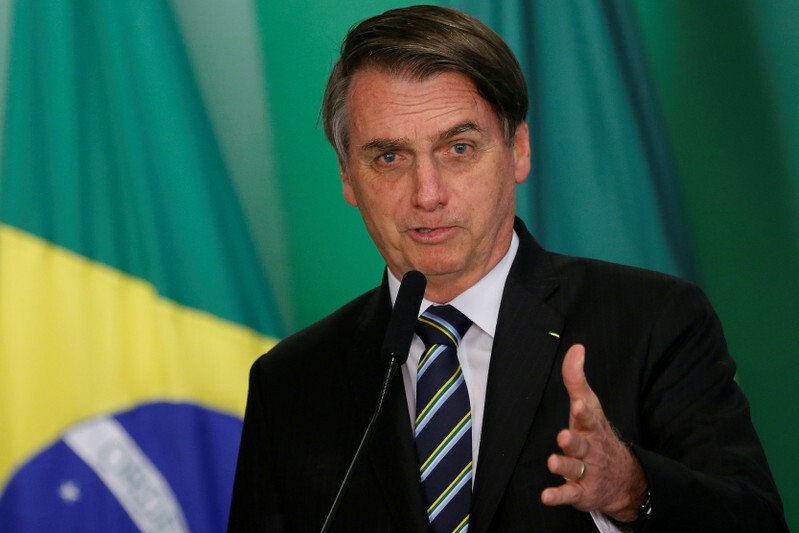 “A few privileged people possess more goods than they could ever consume, while for entire centuries countless masses of poor people have lived without having a piece of bread or a sip of water to give their children,” Canatalamessa said. “No religion can remain indifferent to this because the God of all the religions is not indifferent to all of this,” he said. It was the first of two services at which the pope presides on the most somber day of the Christian liturgical calendar. On Friday night the pope, marking his seventh Easter season as Roman Catholic leader, was due to lead a Via Crucis (Way of the Cross) procession around Rome’s ancient Colosseum. 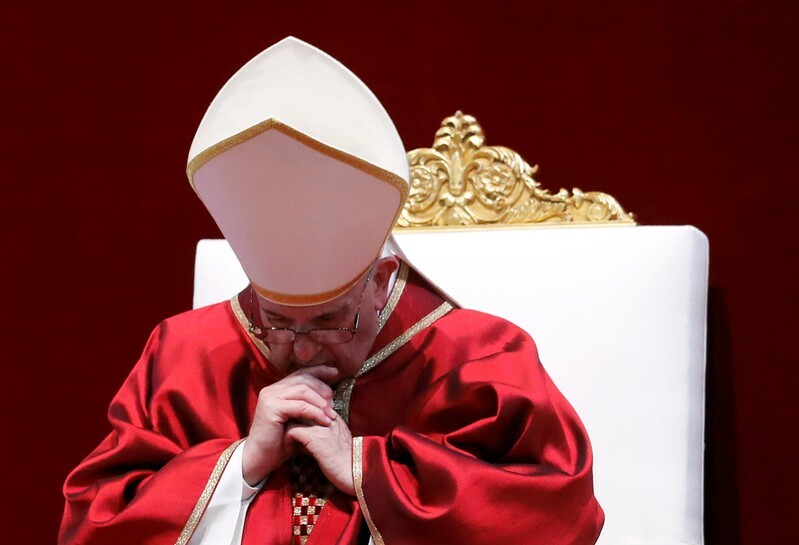 The 82-year-old leader of the world’s 1.3 billion Roman Catholics leads an Easter vigil service on Saturday night and on Easter Sunday reads the traditional “Urbi et Orbi” (To The City and The World) message. 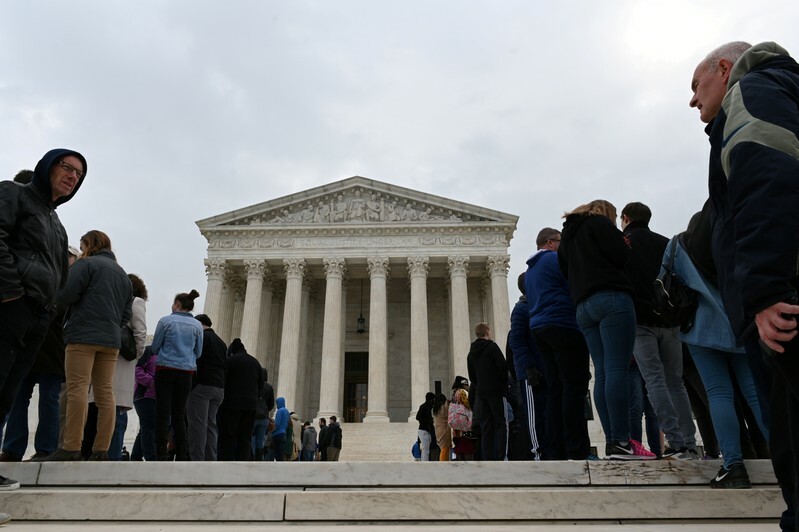 Democrats in Congress are preparing to investigate deeper into President Donald Trump’s finances following the release of the Mueller report, the Washington Examiner reports. Last month, the House Oversight and Reform Committee subpoenaed Trump’s accounting firm, Mazars USA, for all its records on Trump, his trust, the Trump Organization, and any other interests of Trump’s. On Monday, the House Financial Services Committee and House Intelligence Committee also issued subpoenas to Deutsche Bank, Trump’s usual lender. Himes later acknowledge the difficulty of investigating Trump in the House while the Senate is GOP-controlled. The catastrophic fire at Notre-Dame cathedral on Monday, one of France’s best loved monuments, prompted an outpouring of national sorrow and a rush by rich families and corporations to pledge around 1 billion euro ($1.12 billion)for its reconstruction. 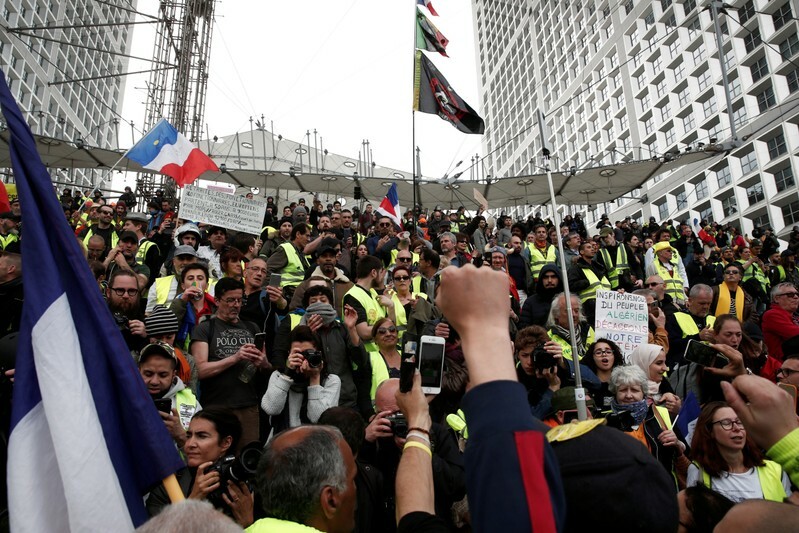 That has angered some yellow-vest protesters, who have expressed disgust at the fact their five-month old movement, which started as an anti-fuel tax protest last year, has not received the same generous donations by France’s elite. 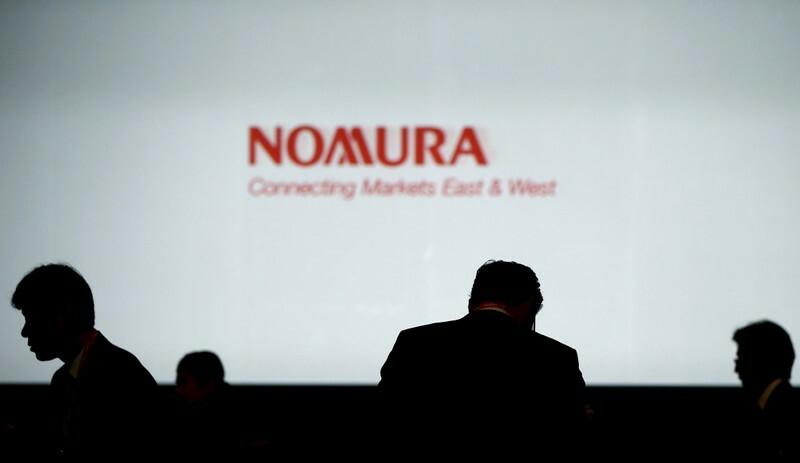 TOKYO (Reuters) – Japan’s Nomura Holdings has no plan to follow the lead of Wall Street rivals and seek a tie-up with a commercial lender, its chief executive told Reuters, pledging to stay independent even as the investment bank faces its first annual loss in a decade. Nomura in January reported a net loss of more than 101 billion yen ($903 million) in the first three quarters of the year to end-March. It has since announced an overhaul plan to cut $1 billion in cost from its wholesale business and close more than 30 of its 156 retail branches. But it will not seek to join forces with a commercial bank, Koji Nagai said, eschewing a model that has reshaped Wall Street since the financial crisis and has seen Morgan Stanley tie up with Japan’s biggest bank, Mitsubishi UFJ Financial Group. “We can do a deal with any partner if we make the effort. We don’t belong to any banking group and that is our strength,” Nagai told Reuters in an interview this week embargoed for release on Friday. 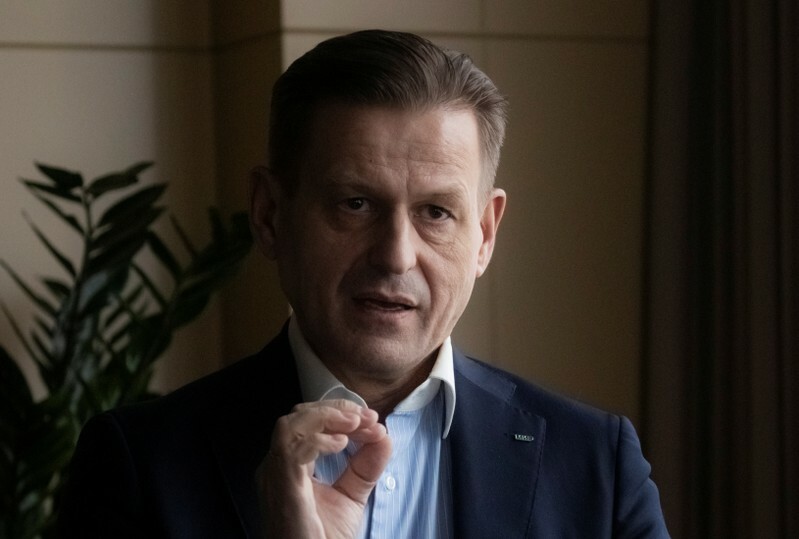 Even without capital ties to any of Japan’s three megabanks – Mitsubishi UFJ, Mizuho Financial Group and Sumitomo Mitsui Financial Group – Nomura has been able to retain its formidable presence in Japanese investment banking, particularly deals. It is advising Nippon Paint Holdings on a $2.7 billion bid for Australia’s DuluxGroup, announced this week. But it doesn’t have the lending firepower of a rival such as Morgan Stanley, which thanks to its tie-up with Mitsubishi UFJ, has been able to leverage the Japanese bank’s massive balance sheet to offer financing alongside of advisory services. Nagai said that while he felt “envy” toward competitors with lending power, a capital alliance with one of the megabanks would sacrifice Nomura’s independence – likely closing it off from clients allied to one of the other megabanks, given the Japanese corporate practice of sticking to a “main bank” and doing business with that lender’s affiliates. “We won’t give up our independence by joining a capital alliance,” he said. As part of the cost-cutting overhaul Nomura also plans to axe about 100 jobs in London, the center for its European banking business, Reuters has previously reported. The wholesale business has been squeezed by lower trading revenue in fixed income. Credit-ratings firm Moody’s has said that Nomura’s overhaul plans, if successful, would help it refocus its business and reduce earnings volatility. Nagai said Nomura is also focused on driving its mass-affluent customers – often defined as those with less than $1 million in investable assets – to its digital platform. The bank is looking to hire people from online brokerages to help drive that strategy, he said.